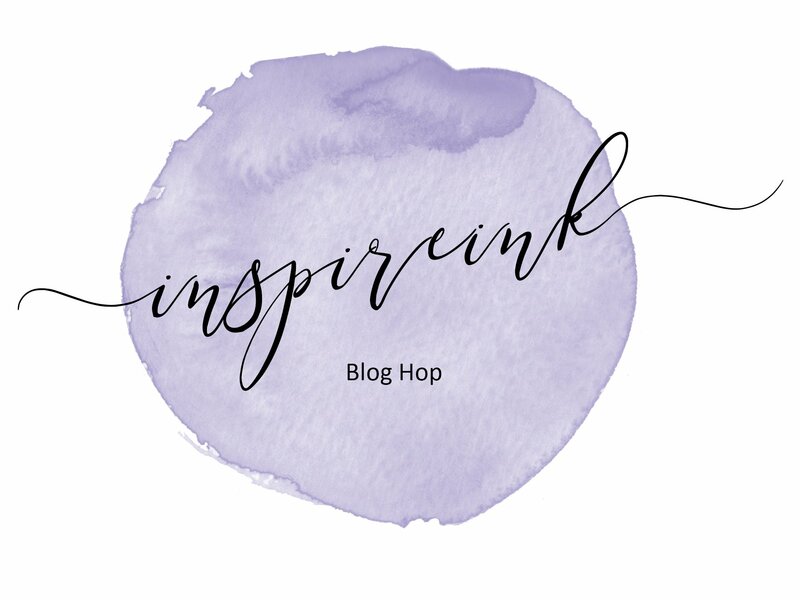 Hallo und Wilkommen zu meinem ersten Beitrag bei InspireINK Blog Hop. 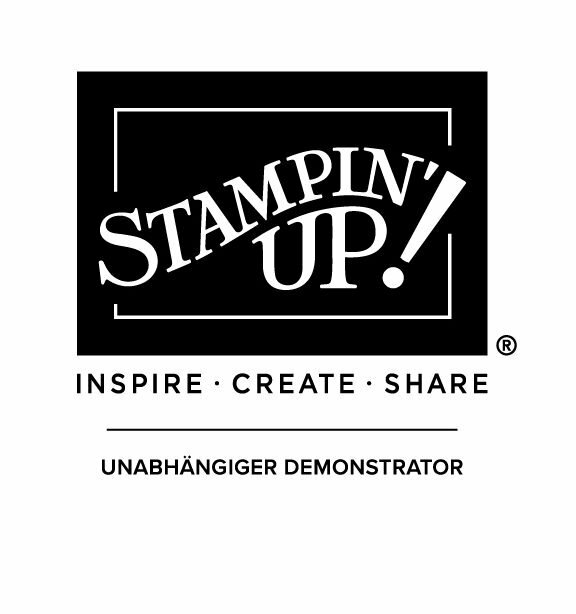 Hello and welcome to my first entry for the InspireINK Blog Hop. Diesen Monat haben wir von Sam das Thema Funkeln, Shimmer und Glanz bekommen. We’re starting the year off with a fun and glamorous theme. 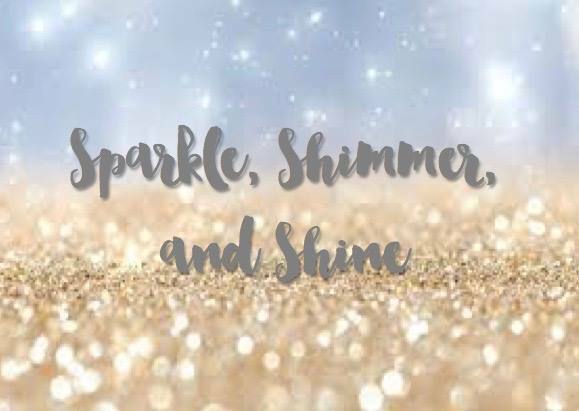 Sparkle, Shimmer and Shine. Damit der Glanz und Schimmer so richtig zur Geltung kommt, habe ich viel Weiß in meiner Karte gelassen. Das Blütenornament ist mit den Alkoholmarkern in Zartrosa und Olivgrün koloriert. Den zarten Schimmer bekommt ihr mit dem Wink of Stella Stift. Den Kreis habe ich mit der 2″ (5,1 cm) Handstanze aus Pergament ausgestanzt und anschließen den Rand mit Gold embosst. Dazu müsst ihr den Kreis zuerst über das Versamark Stempelkissen rollen und anschließend durch das Embossingpulver. Beim anschließenden erhitzen empfehle ich den Kreis mit einer Pinzette zu halten, da es sonst sehr heiß für die Finger werden kann. I’ve kept the card pretty white to make the gold and bit of colour pop out more. 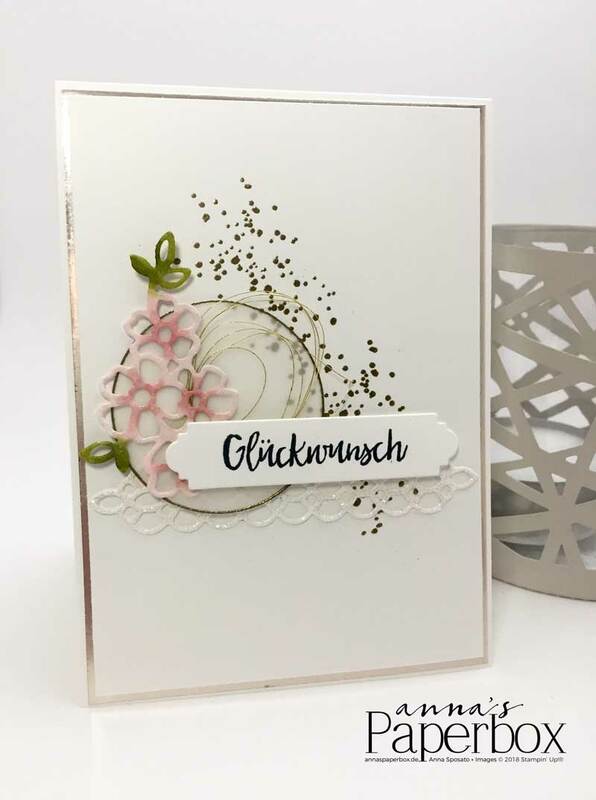 The flower cutout was coloured with the Pink Pirouette and Old Olive alcohol markers and for that extra sparkle I used the Wink of Stella Brush Pen. For the gold rimmed circle I first punched it out from Vellum cardstock with the 2″ (5,1 cm) Circle Punch and then embossed the edge with gold. To do that first roll the circle through the Versa Mark pad and then through the gold embossing powder. I suggest using tweezers for holding the circle during the heating as it gets pretty hot (your fingers will thank you, trust me). Die Goldsprenkel sind aus dem Stempelset Am Ufer. Ich mag diese Sprenkel, da sie aussehen wie Tropfen 🙂 . 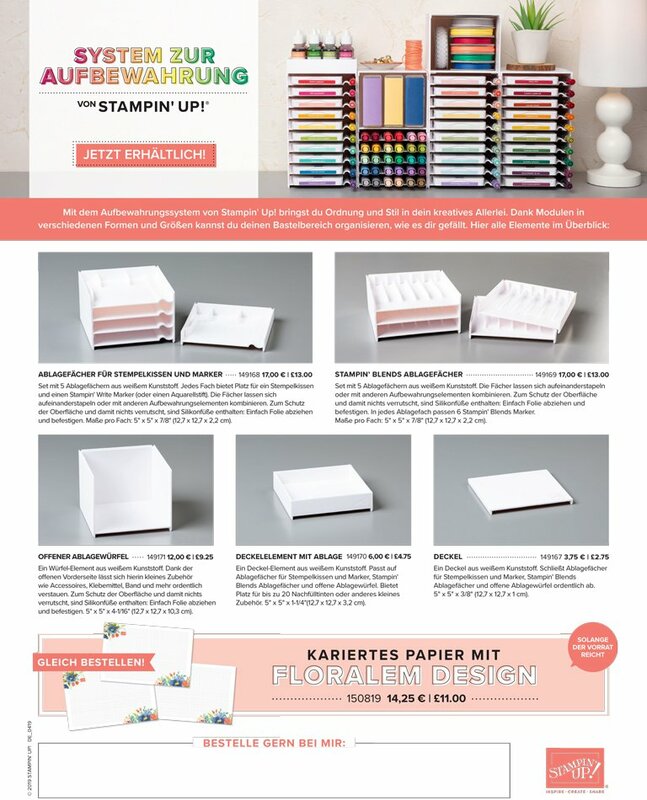 Für das Zierelement im Hintergrund kann man entweder das Glitzerpapier (Diamantgleißen) nehmen oder (wie ich es gemacht habe) das Teil aus Flüsterweißem Farbkarton ausstanzen, mit Präzisionskleber bedecken und anschließend mit Glitzer bestreuen. See those droplets of gold? It’s a stamp from the set Waterfront. I love it as it looks like tiny drops 🙂 and embossed, they are just fab. For the next piece, the filigree accent in the back, I first cut it out from Whisper White Cardstock, covered it in glue with the Fine Tip Glue Pen and then sprinkled Dazzling Diamonds Glitter on it. 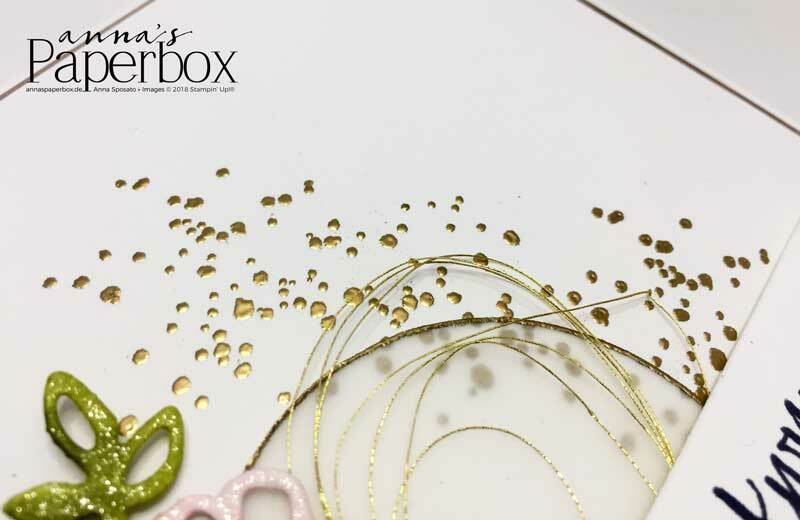 You can also just cut it out from Dazzling Diamond Glitter Paper and avoid any potential glue and glitter mess. Ich hoffe euch hat mein heutiges Projekt gefallen. Klick auf den “Next” Button um zu Nancy’s Blog “The Handy Crafter” weiter zu hoppen. Hope you enjoyed today’s project. Click on the “Next” button to hop along to Nancy at The Handy Crafter. Wow Anna, die Karte ist sooooo schön und edel ! Love this card Anna…. 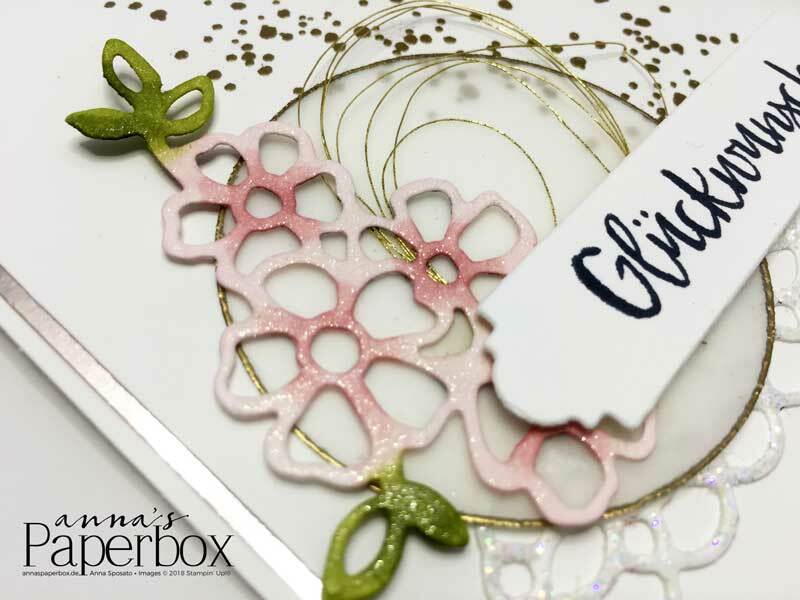 might have to try the heat embossed circle idea!